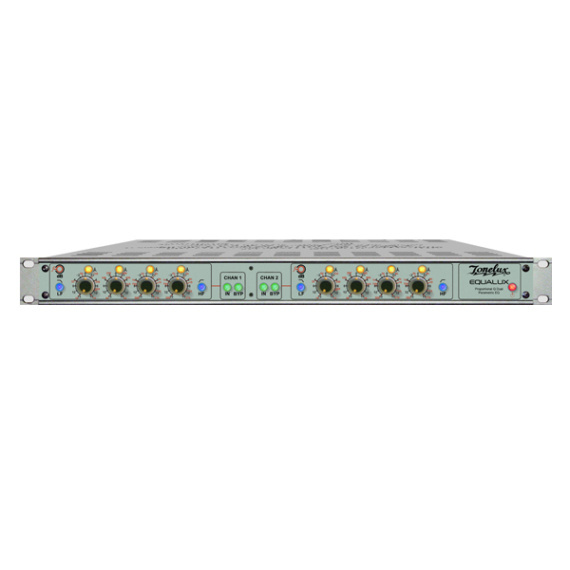 The EQUALUX is a DISCRETE Parametric Equalizer with some very unique features. Notice that the panel has no Q control. 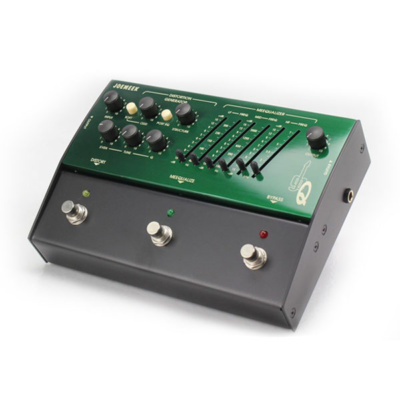 The filter Q control is in relation to the Boost and Cut control, and uses a “Constant Energy Curve” or known as “Proportional Q” that keeps the bandwidth wider at lower boost or cut levels and becomes narrow at higher boost or cut levels. This is musically pleasing. With 4 bands of controls, each of the lower 2 have slightly different frequencies, allowing the lower band to go to 18 Hz, and the upper 2 bands are identical. The IN button is a silent IN/OUT button that does not bypass the unit, but it bypasses the filters. 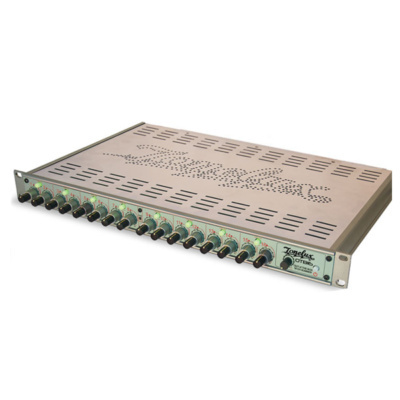 It also has the same feature as the MX and FX series modules, when in, the button pulsates showing signal presence. Internally, this can be selected to read the signal at the EQ input, or post EQ at the output. On the rear panel there is an “INPUT” XLR with a nominal level of +4 dBu and a 1/4″ jack that has a -6dB pad for a nominal input level of +10 dBu. The “OUTPUT” is an XLR with a nominal level of +4 dBu.